Our brand-new u19 Football Education Academy begins in September 2019, and will provide both male and female students the opportunity to be a part of a full-time football programme, whilst studying for their chosen profession here at Shooters Hill. The football element, which will be run by The EDSV Academy, is a performance-based programme that aims to push the players in to professional and semi-professional football and will be based at Meridian Sports training facility. The EDSV Academy specialise in performance-based sports training for male and female student athletes, and have been providing sport and academic successes since 2012. Offering a very professional training provision, the emphasis is on success over participation, and students interested in applying for this must be serious to develop both as a student, and as a player. You must pass a football trial to be accepted in to the Academy. We have a maximum of 25 male and 25 female places available for September 2019. Although not essential, players with a minimum of County experience will be preferred. Academic entry requirements will be based upon your chosen study option and can be found on this website. Again, although not essential, students with GCSEs in both English and Maths will be preferred. Please note: subjects outside of this list may still be available; however, they may come with some clashes to our training provision, so they will be dealt with on a individual basis. All study courses will take place here at Shooters Hill Sixth Form College. Our training provision is one that rivals those of professional football clubs. Our structure has been developed over time, and with the experience of the staff you will be working with, it has proved a solid base for our players to excel from. 3 training sessions per week, plus games on a Wednesday afternoon. Qualified Physiotherapists present at ALL training sessions and games. The latest technology in heart-rate monitoring and GPS tracking during fixture and training. Access to Hudl for video analysis. Masterclasses from past and present professional footballers. Gym-based strength & conditioning sessions. Swimming pool for injury rehab and recovery. Fixtures against professional U18/U21 teams. Discounted rates for American Scholarships. All football training will take place at Meridian Sports (Charlton Park Ln, London SE7 8QS). Our next trial date will be WEDNESDAY 17TH APRIL, 2019. Note: You MUST apply via the form below in order to trial. We do not allow people to turn up on the day. We work with a number of partners to help provide you with the experience you will receive. 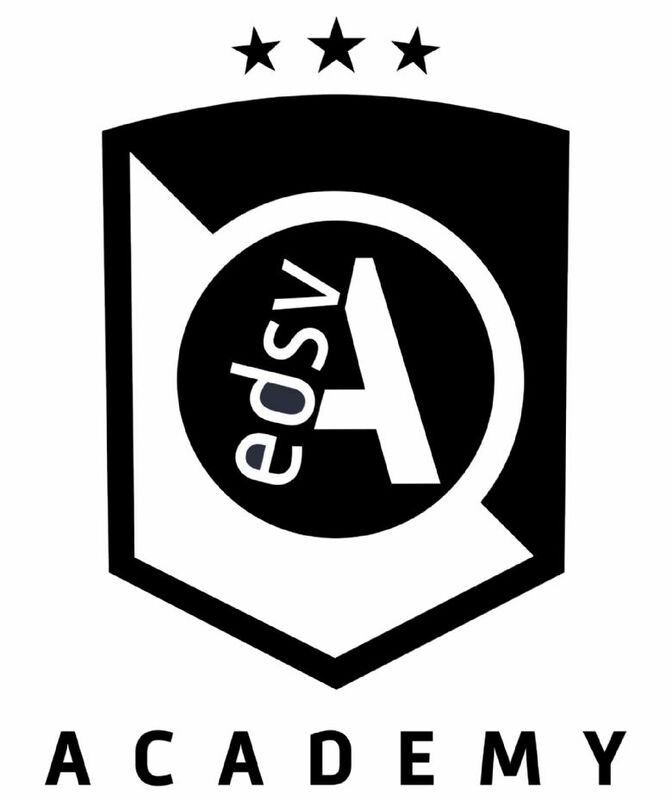 Since 2012, The EDSV Academy have achieved 11 league titles, and seen over 70 players move in to professional and semi-professional football, as well as 12 make international appearances. MALES: Tommy Dixon-Hodge (Ross County FC), Nick Thompson (Stevenage Borough FC), Kaine Wright (CS Maritimo), Ty-Rese Paul-Jones (Grimsby Town FC), Lewis Hobbs (Hendon FC), Joe Hankins, Joe Newton, Luke Oswick, Dan Gallin (Royston Town FC), Wilson Chingoka (Lewes FC), Luke Warner-Eley (Farnborough FC) +26 others at Step 3/4/5 of Non-League football. FEMALES: Amelia Hazard, Beth Lumsden, Alex Fuggle, Melissa Filis, Shannon Hellina, Chiara Meola (Arsenal Women), Leigh Nicol (Charlton Athletic FC), Lucy Loomes (London Bees & England U19), Rebecca McShane (Watford Ladies FC), Kelsey Gibson (Chelsea & London Bees) + 21 others at WSL & WPL Clubs. We have also had over 10 players granted scholarship offers to America. Click here to apply for our football trial. Note: Applying for the football trial DOES NOT apply you for your chosen academic course. You must also apply to SHC in order to enrol. You can do this via www.shc.ac.uk/apply.